Great content is the lifeblood of every modern inbound marketing campaign. Without useful, unique content it’s nearly impossible to get ranked in the search engines, which means you won’t be found when consumers are looking for loan providers. That’s why Pipeline ROI has all the content you need to get started. Then you can add custom content for your business quickly, without hassle. GhostWriter — beat your search engine competition without writing. Our GhostWriter technology helps you climb the rankings by keeping your website content fresh without you needing to rewrite. This is important because search engines factor in how often sites are updated with fresh content. Basically, GhostWriter does the heavy lifting while you stay busy selling. Our daily rate lock advice e-mail makes you the go-to source for lock/float advice. The best part, it’s all automatic. We collect all the national data on stocks, bonds, and other economic factors and translate it to easy-to-understand charts and graphs for your potential clients. It’s a great way to increase urgency on buyers and refis ahead of anticipated rate increases. An active and helpful blog is a critical part of a good inbound marketing strategy. 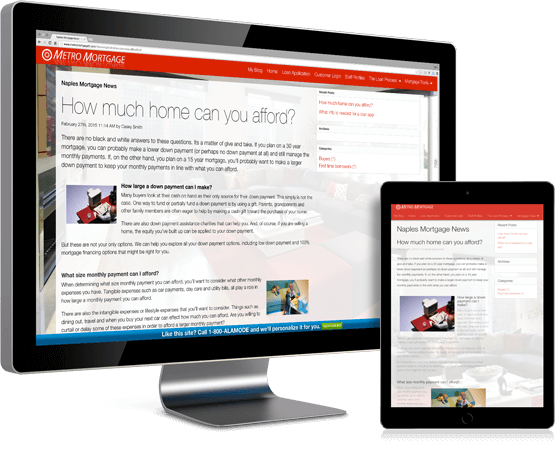 The benefits include higher search engine rankings, more traffic to your site, establishing yourself as the expert mortgage pro in your area, lead generation, and more. 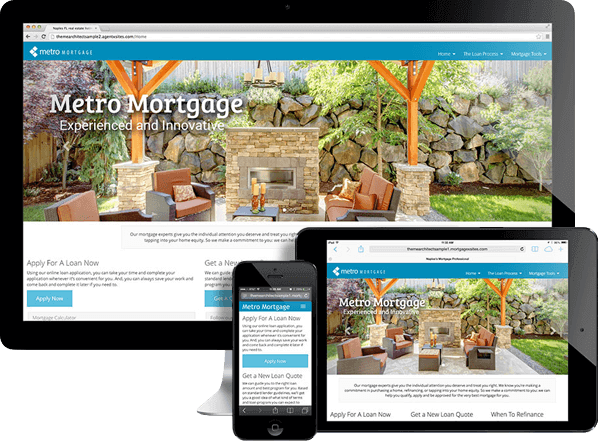 Pipeline ROI mortgage lending websites feature a simple blogging interface, and resources that keep you from wasting time staring at the dreaded “blank page” wondering what to write. Of course consumers are curious about how much they can afford, how interest rates will affect their payment, and whether they should refinance or not. That’s why mortgage calculators are such an important part of your website, and Pipeline ROI has practically every calculator your can imagine. Consumers will love using your calculators on their computer or mobile device as they do their loan shopping.